His name was Josiah Henson. He was born into slavery in about 1789 in Charles County, Maryland. Josiah’s first memory was witnessing his father being savagely whipped. As a youngster he worked the farms of his master, Isaac Riley, and like the Old Testament Joseph, rose to a position of great responsibility. Josiah’s mother had taught him, as best she could, about the God of the Bible. He attended church when he was allowed to, and in his twenties, Josiah underwent a profound conversion experience after hearing the amazing news that Jesus died for all people, not simply whites. Josiah began preaching the gospel to other slaves. When he was twenty-two, Josiah married a slave named Charlotte, and the couple had four children. But when Isaac Riley’s debts threatened his ownership of his slaves, he begged Josiah to take them to his brother’s house in Kentucky, 650 miles away. Josiah agreed. But when they reached Ohio, a free state, many of the slaves wanted to stay. But Josiah—believing he had to keep his word to his master—insisted they continue their journey to Kentucky. Josiah regretted this decision his entire life. A few years later, when Josiah learned he would be sold away from his family, he resolved to escape to Canada. Against incredible odds, he and his family traveled north by night. Indians and Quakers fed them and helped them avoid slave catchers. The Underground Railroad did not yet exist, and the family often went without food or water. Weeks later, they arrived near the border between the U.S. and Canada. There, a kindly schooner captain took Josiah’s family to Buffalo, and then paid to have them ferried across the Niagara River to Canada. Before they parted, the captain gave Josiah all the money he could spare. As Jared Brock writes in his biography of Josiah Henson, titled “The Road to Dawn,” the captain then placed his hand on Josiah’s head. ‘“Be a good fellow, won’t you?’” he said. Josiah kept that promise. He helped raise money to set up a settlement for freedmen, called The Dawn Settlement, which helped hundreds of escaped slaves begin new lives in freedom. He returned to the U.S. again and again, rescuing over a hundred slaves. He opened a school, raised millions for the Abolitionist cause, bred stallions, opened a sawmill, farmed, and preached. Josiah displayed his lumber at the first World’s Fair in London, and met both Queen Victoria and Prince Albert. But perhaps the most important person Josiah met was a writer named Harriet Beecher Stowe. After meeting eight times with Josiah Henson and with other escaped slaves, Stowe wrote the best-selling novel of the nineteenth century: Uncle Tom’s Cabin, credited with launching the Civil War. When President Lincoln drafted the Emancipation Proclamation, he had Stowe’s writings close at hand. 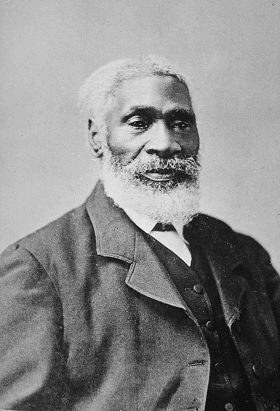 For the rest of his life, Josiah Henson was called “the real Uncle Tom”—a character who was beaten to death because he refused to reveal the whereabouts of two escaping slaves. I urge you to read Jared Brock’s book about Josiah Henson, “The Road to Dawn.” His amazing life story reminds us that God gives each of us gifts—gifts we ought to use for others. And we need to use our precious freedom on behalf of others, as well—especially those who still live in slavery around the world. Galatians 4:13 — You, my brothers and sisters, were called to be free. But do not use your freedom to indulge the flesh: rather, serve one another humbly in love. I Peter 2:16 — Live as free people, but do not use your freedom as a cover-up for evil; live as God’s slaves.